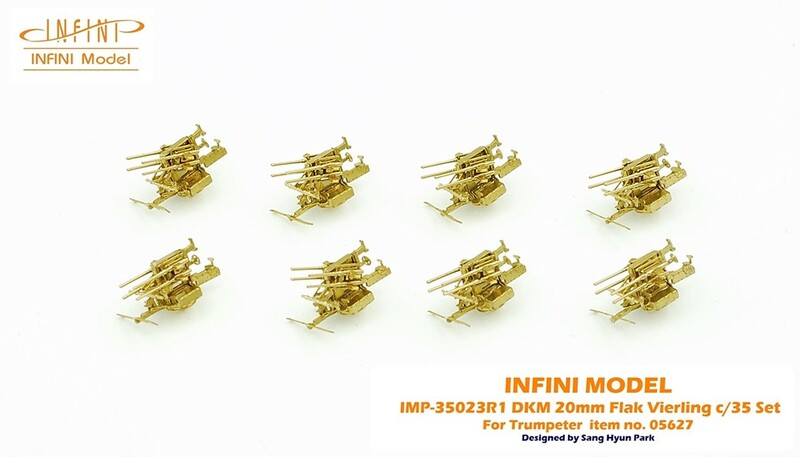 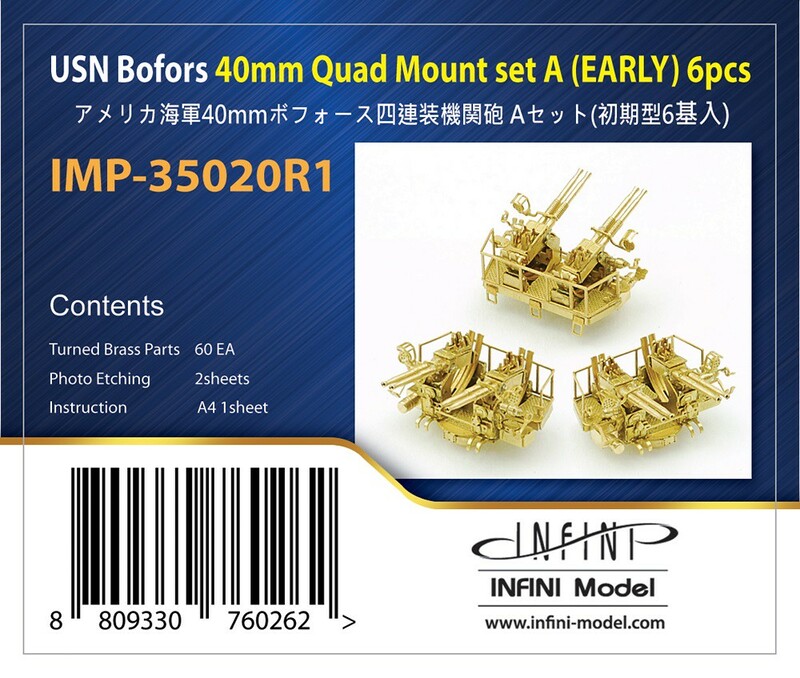 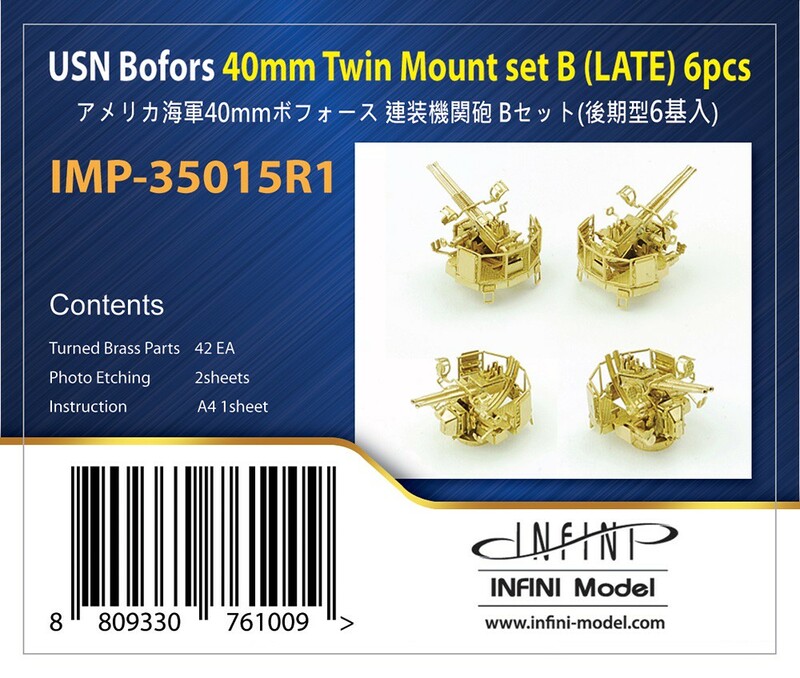 1/350 WW2 USN 40mm Bofors Twin & Quad Mout 4sets. 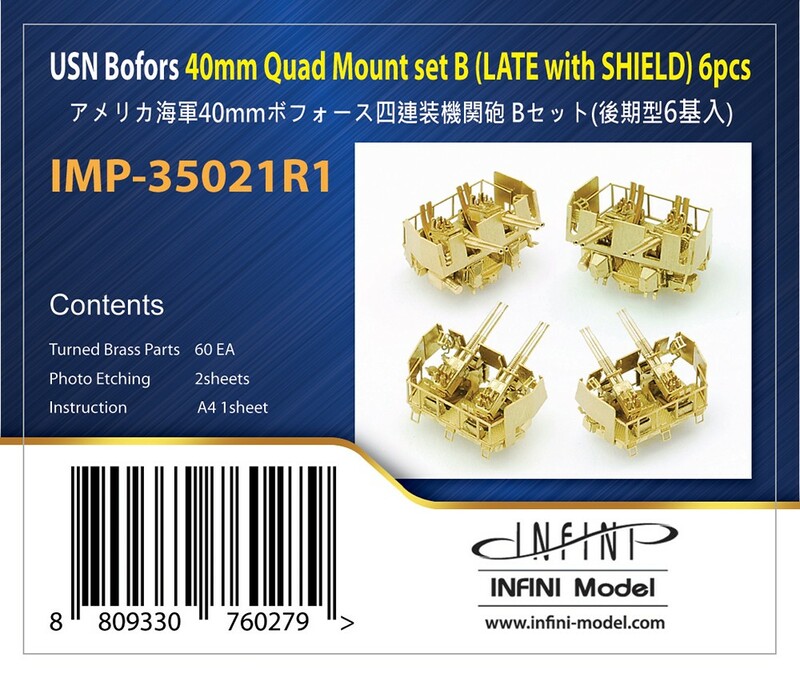 I will introduce other new product within a few days. 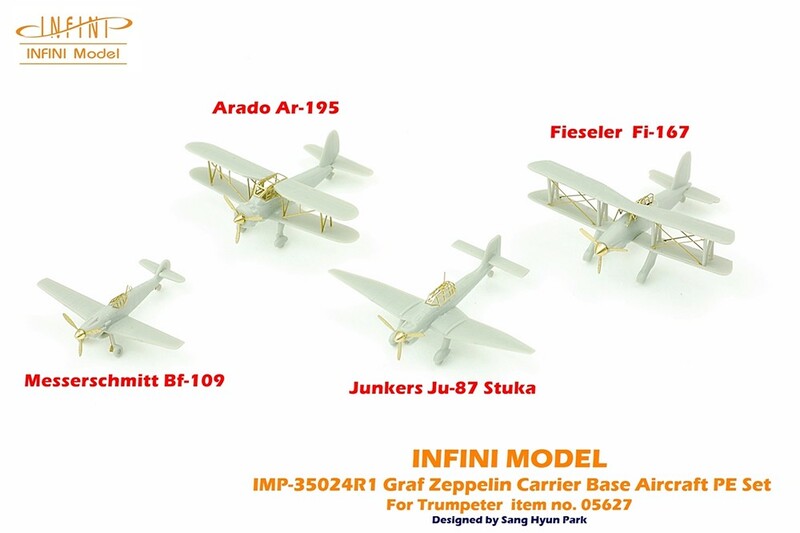 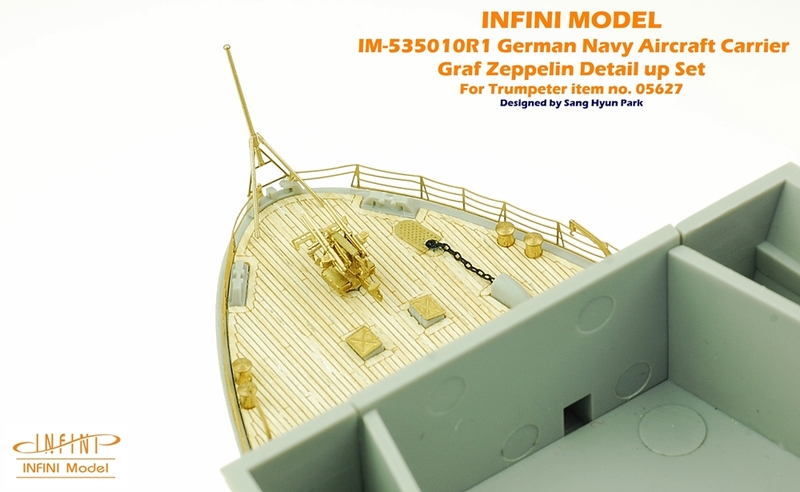 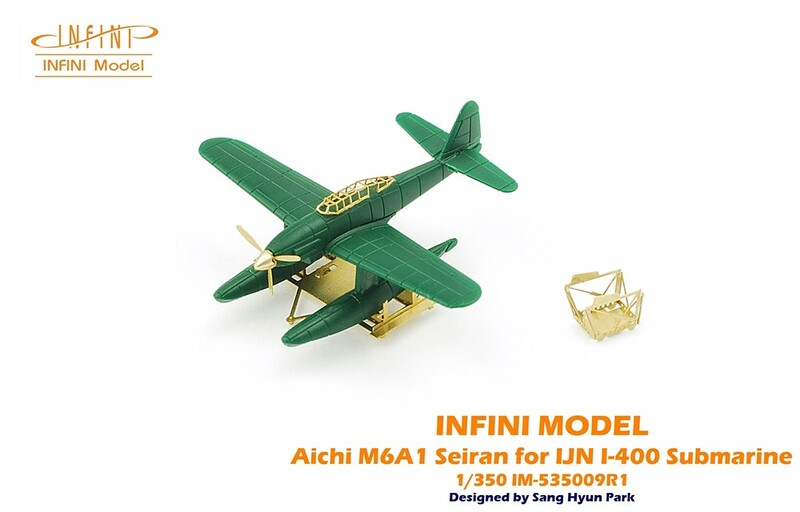 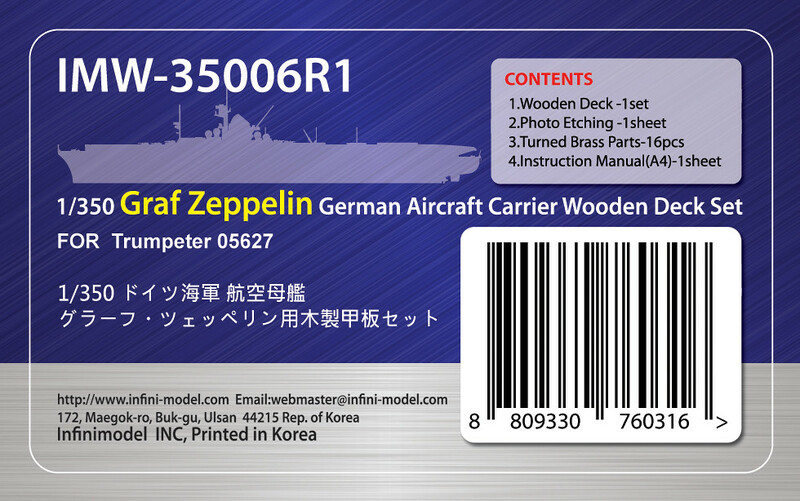 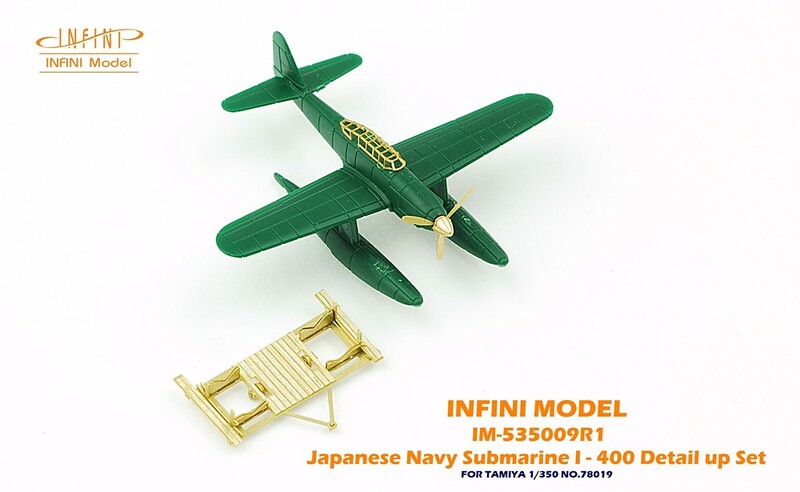 We also released the IMW-35006r1 Wooden deck set for 1/350 Graf Zeppelin (Trumpeter 05627). 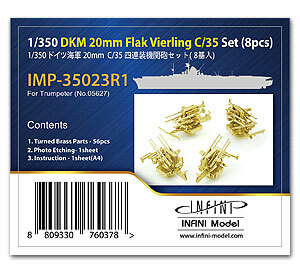 Any plans on doing twin 20mm Oerlikons in 1/350? 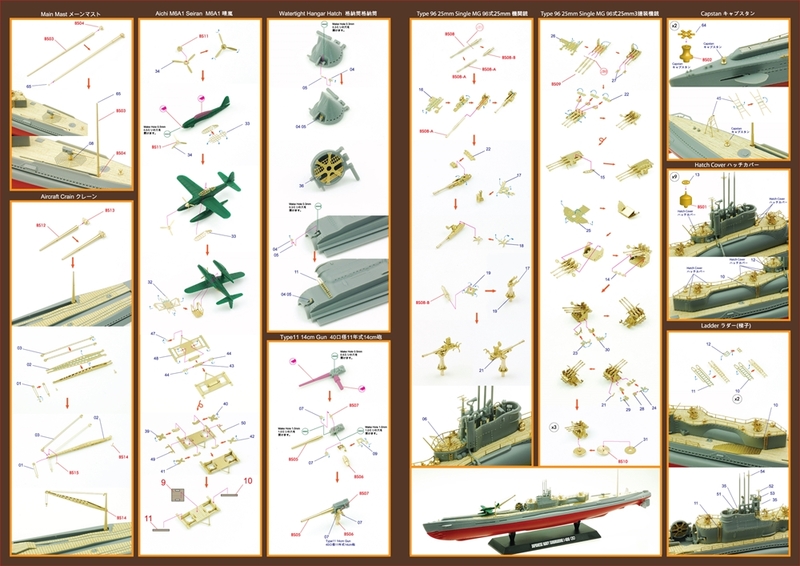 Don't you see the previous page??? 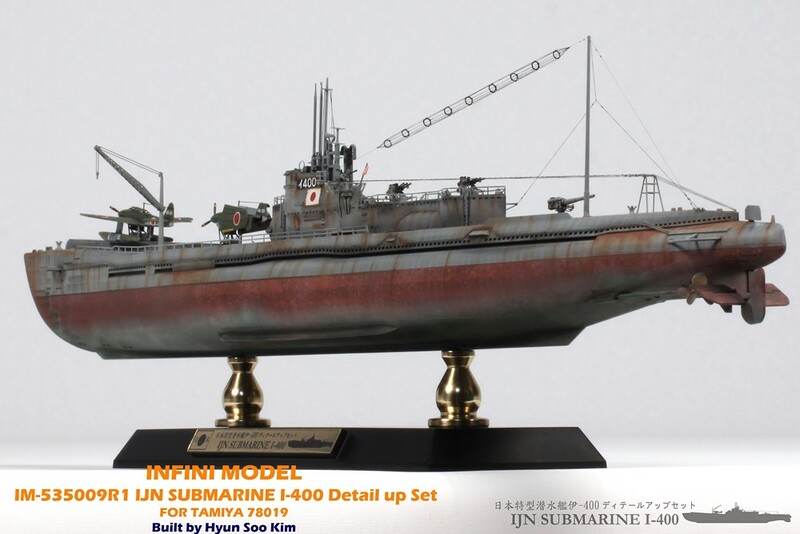 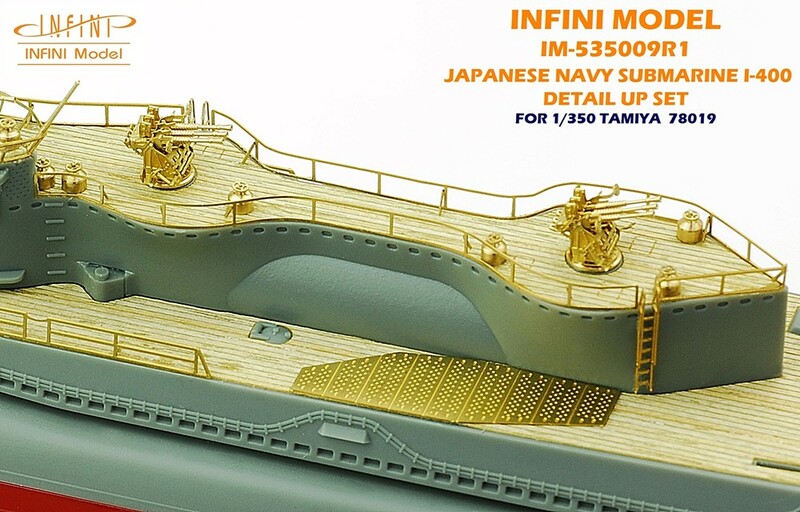 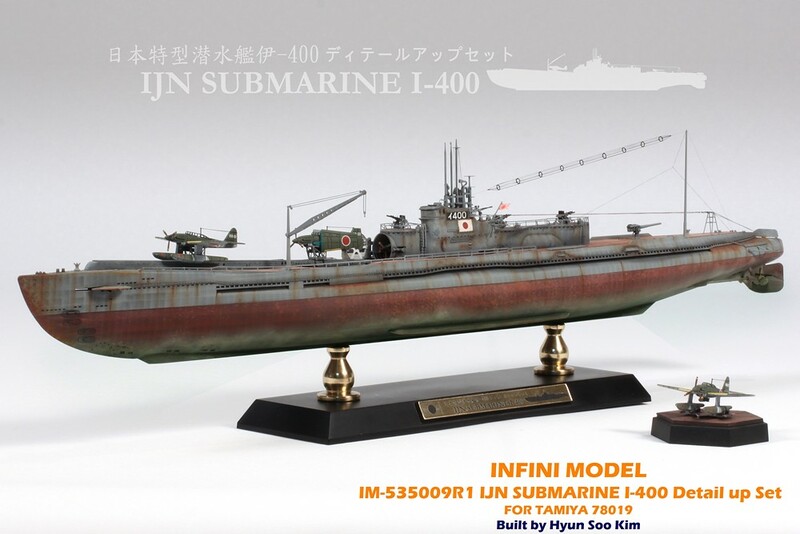 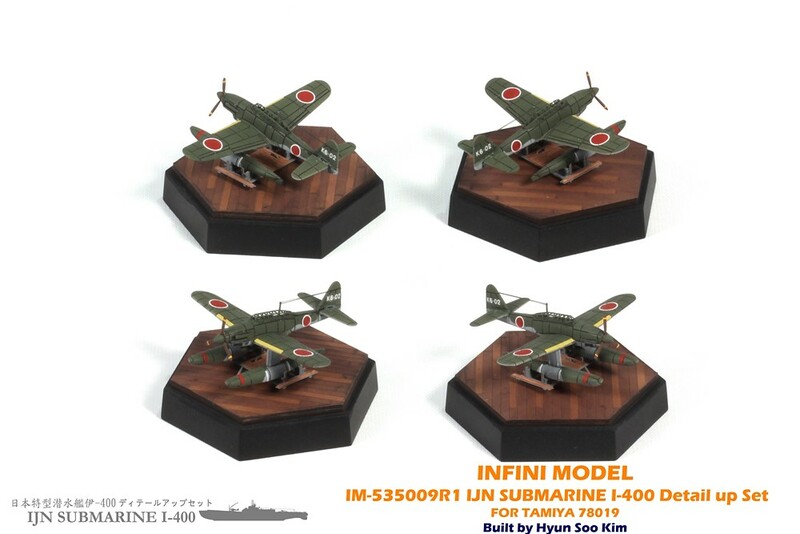 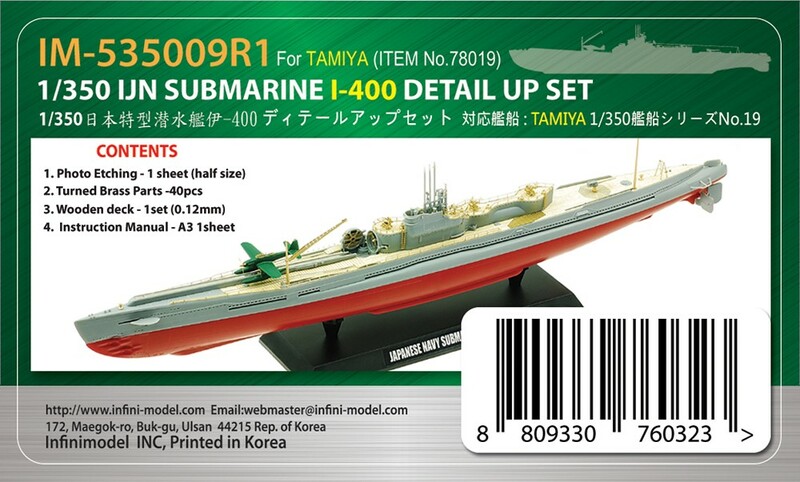 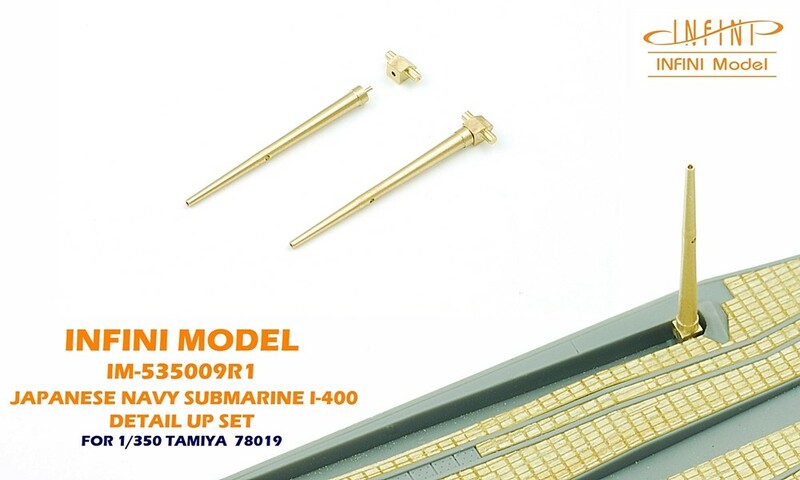 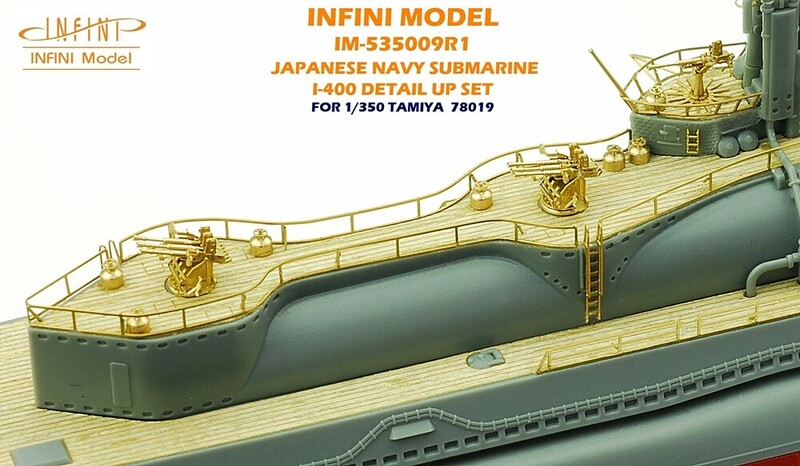 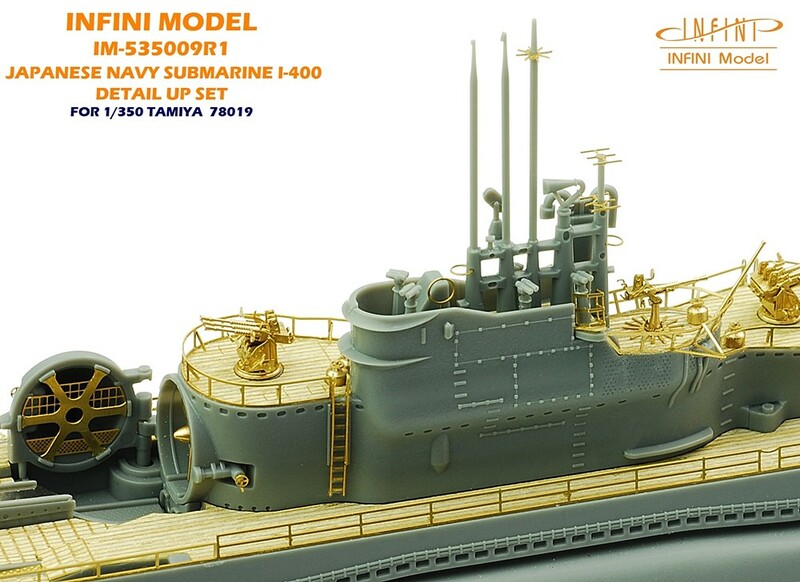 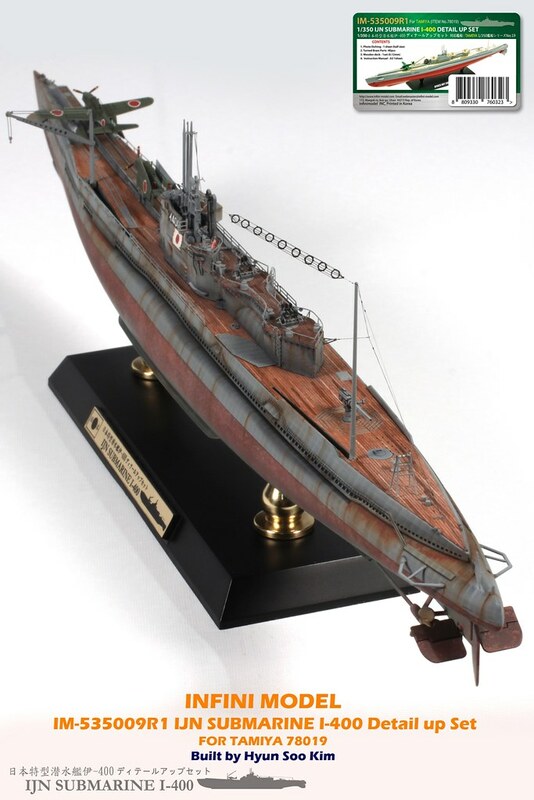 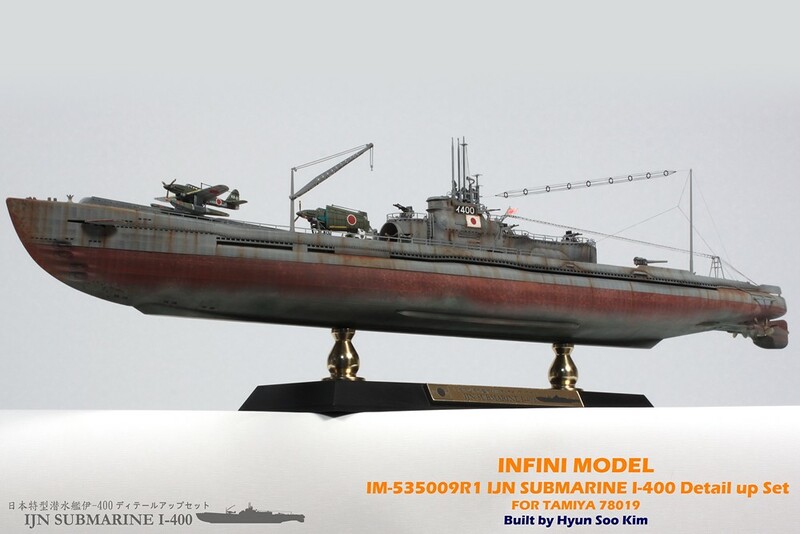 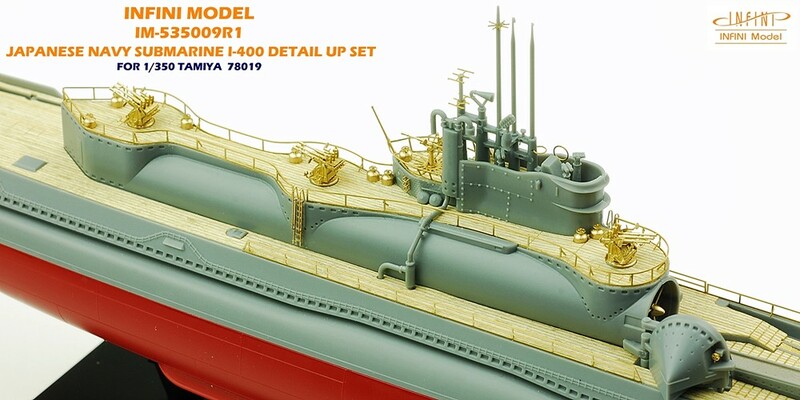 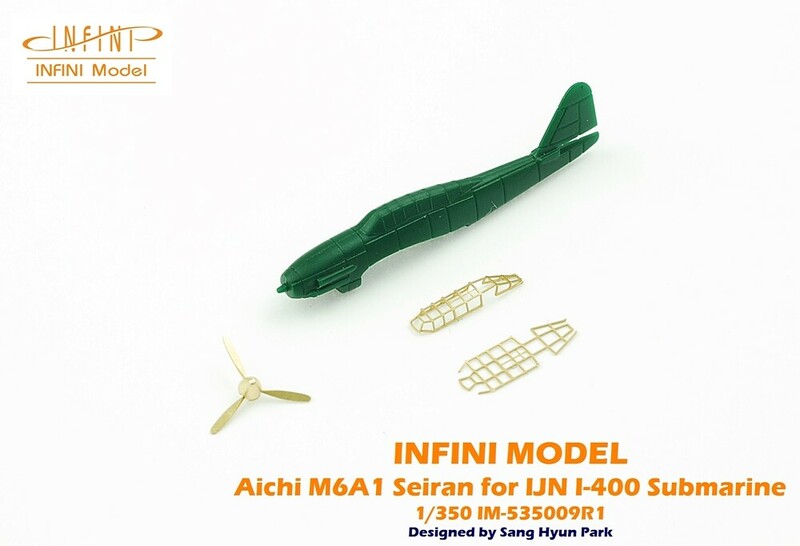 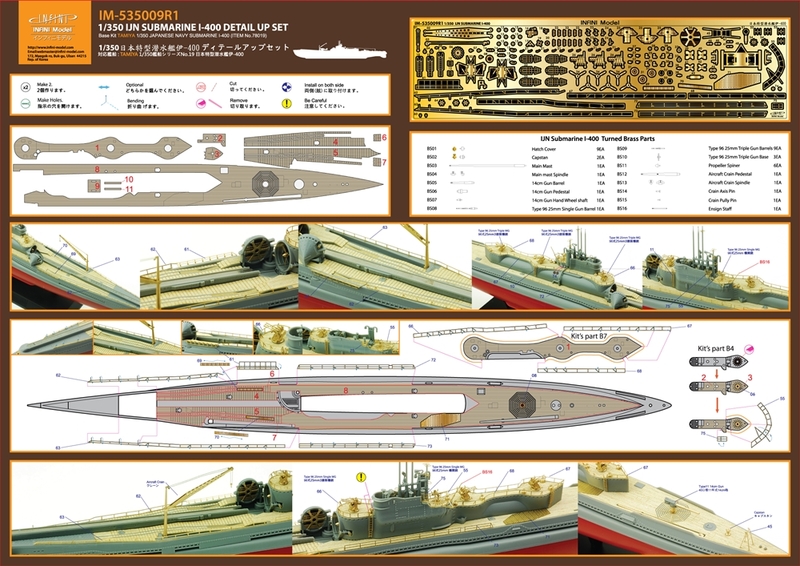 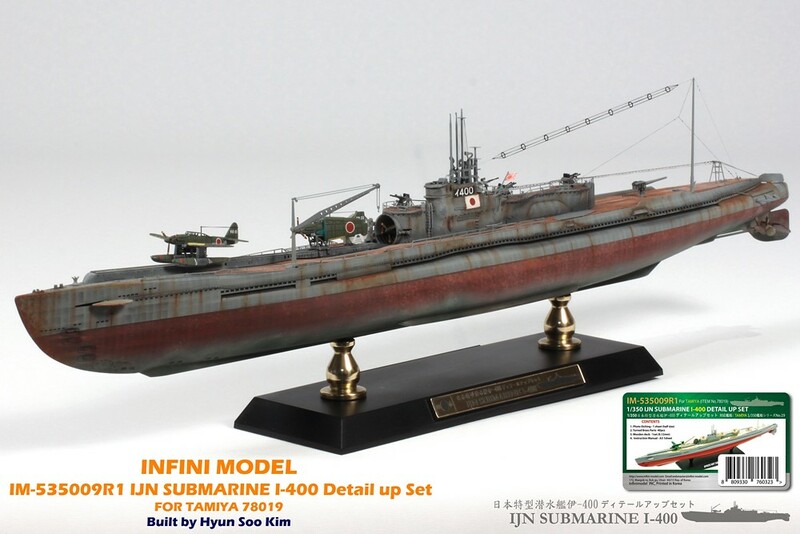 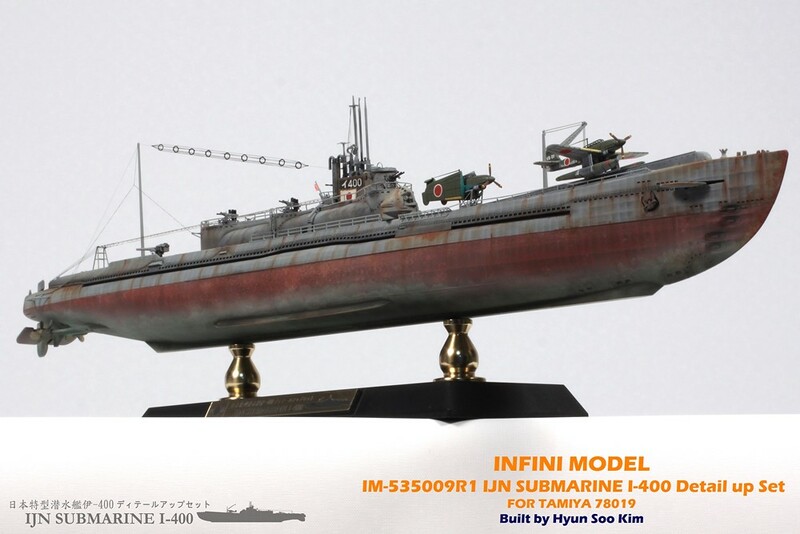 We also released IM-535009R1 IJN Submarine I-400 Detail up set for 1/350 Tamiya 78019. 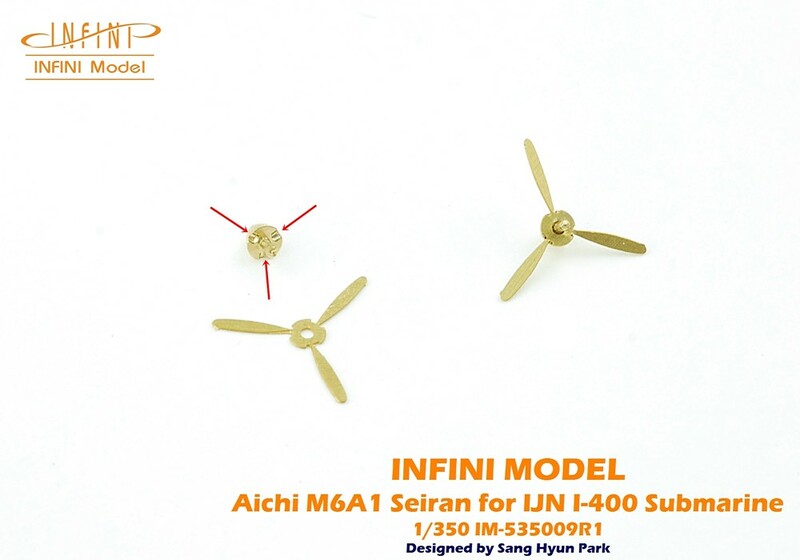 We applied a PE canopy frame and a brass spinner. 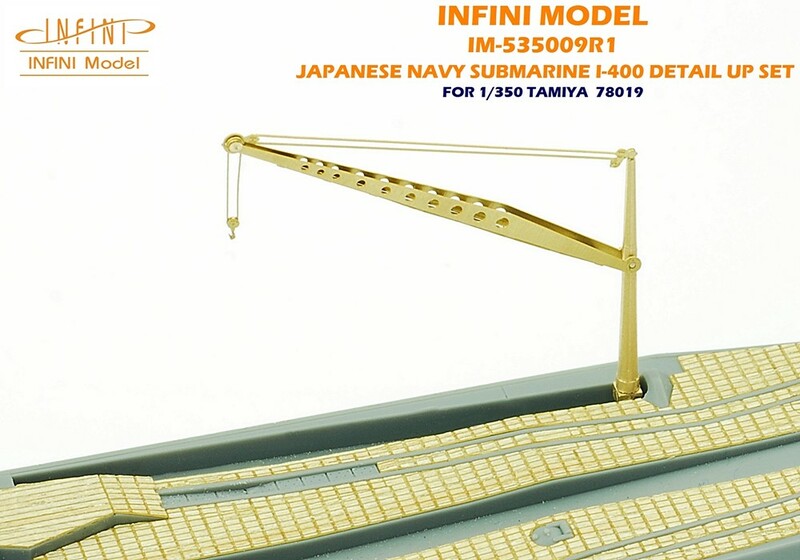 Movable crane for Aircraft and Torpedo. 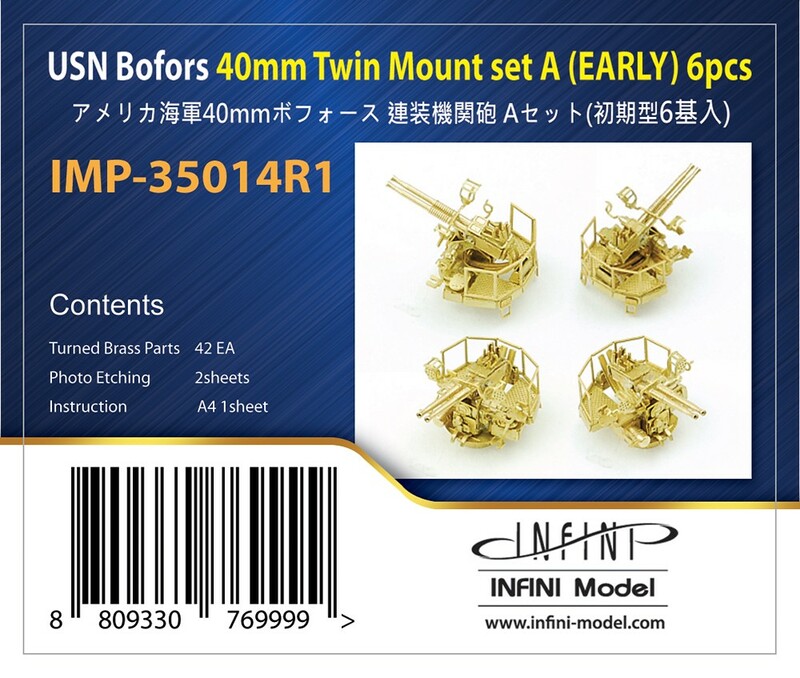 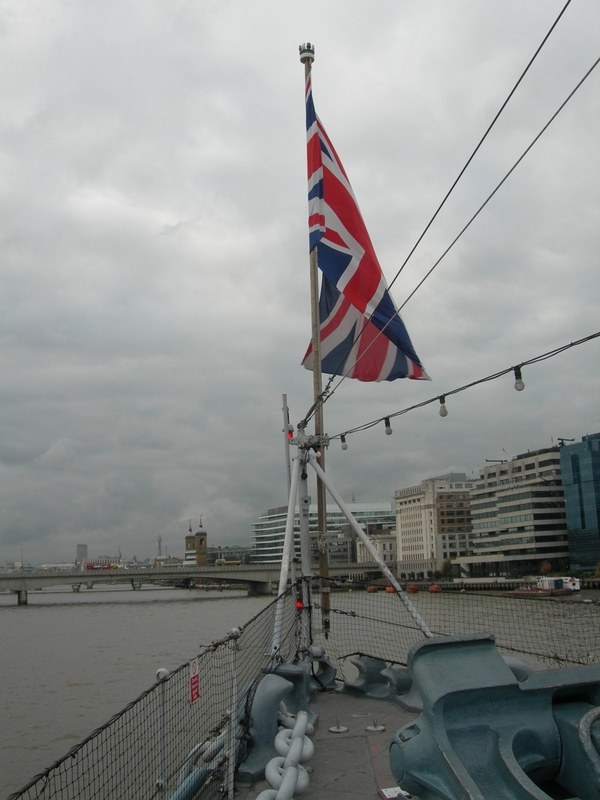 Movable Main mast for Aerial wire. 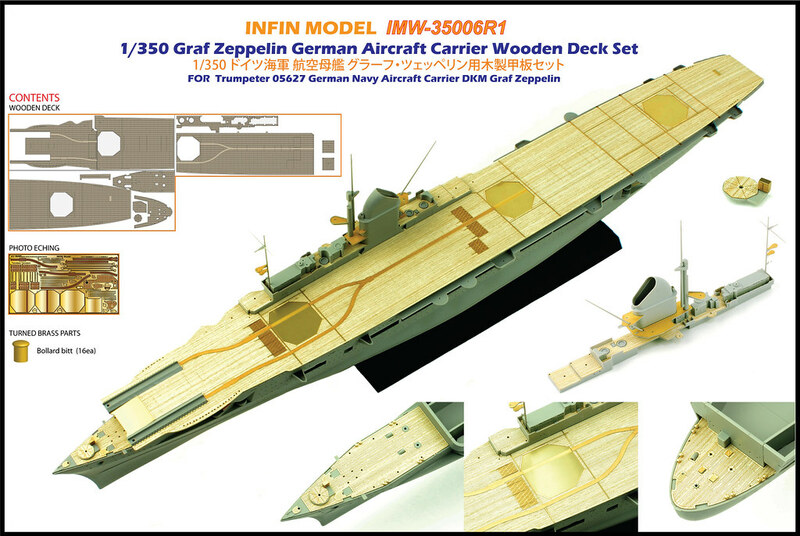 Very thin wooden deck.